Bitcoin was conceived as a communal project. Designed as an open-source software and released to the public in 2009, Bitcoin was conceived with openness in mind. Functioning on an open ledger that is accessible to the public, Bitcoin is an open-source project. Who Created Bitcoin and Who exactly is Satoshi Nakamoto? Finding an answer to this question isn’t easy. We know that all the code that created Bitcoin originated with Satoshi Nakamoto, but that is about all we know. Satoshi Nakamoto didn’t work alone on launching Bitcoin. Some of the early Bitcoin devs have been pointed to as possible Satoshis, but there are numerous issues when it comes to proving that any specific person was the creator of Bitcoin. 3 Are They British ? First, let’s detail what is known for certain. The first step was taken in 2007, when Nakamoto wrote the Bitcoin code. In November 2008, Satoshi Nakamoto published his now famous White Paper, which laid the groundwork for the Bitcoin protocol. Satoshi was heavily involved with the Bitcoin community, and collaborated with them in order to modify the underlying bitcoin protocol. After two years of involvement, Nakamoto handed the reins to Gavin Andresen, and seized involvement with the Bitcoin project in December of 2010. In the Spring of 2011, Nakamoto returned to leave a final message, stating in a post that he had “moved on to other things,” and that Bitcoin was “in good hands with Gavin [Andresen] and everyone.” That was the last the world heard of the secretive Bitcoin creator. The mystery behind Nakamoto’s identity has only grown, as the Bitcoin community eagerly speculates who it could potentially be. Satoshi Nakamoto claims to be Japanese, born on April 5, 1975. To this day, it is unknown whether Nakamoto is male or female, or whether Nakamoto is even a single person or a group of individuals. Today most people are familiar with digital currency, thanks to the epic crypto rally of 2017. Back in 2008 when this was all getting started, the cryptocurrency world was a lot smaller. We know for sure that some of the people we talk about below knew each other. In the case of David Kleiman and Craig Wright, there is solid evidence that the two worked together to get bitcoin off the ground, and both had substantial amounts of the tokens. There is an ongoing saga between Kleiman’s estate and Wright, alleging that there could have been some kind of graft, and that Wright ended up with bitcoins that were rightfully Kleiman’s. You might notice that we wrote ‘Kleiman’s estate’ and not ‘Kleiman.’ The sad fact is that some of the people who could be Satoshi Nakamoto have died, which makes a positive identification much harder. When the first bitcoins were being mined, basically nobody cared about them. The first bitcoin transaction was a trade of 10,000 BTC for two pizzas, which should give you some idea of how playful some of the early devs were with their project. There are a lot of questions surrounding the origins of Bitcoin, and as time goes on, they may become harder to answer. While Nakamoto’s identity remains unknown, This has not stopped enthusiasts from investigating his background and drawing up conclusions. 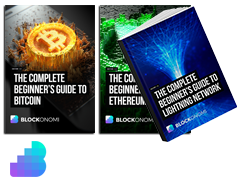 Nakamoto’s use of perfect English in his posts and his publication of the White Paper has raised skepticism as to his Japanese origin. Furthermore, his occasional use of British English in the code and comments has fueled speculation that he is a native English speaker of commonwealth origin. Additionally, Stefan Thomas, a Swiss coder and active member in the Bitcoin community, graphed the time stamps of Nakamoto’s more than 500 posts, showing his or her complete absence of posts between midnight am and 6 am Greenwich Time, further informing investigators as to his potential whereabouts. To date, there are several potential individuals suspected of being the mysterious Bitcoin creator. One of the first suggestions was Nick Szabo, a decentralized currency enthusiast who published a paper on “Bit Gold” considered to be a precursor to the first cryptocurrency. By running a reverse textual analysis, internet researcher Skye Grey found dozens of unique phrases that linked Szabo’s writing style to that of the original whitepaper. This evidence is only circumstantial, however, and Szabo has repeatedly denied that he is the creator of Bitcoin. Despite all the denials, the research into how the Bitcoin whitepaper was written shows remarkable similarities between how Szabo writes, and also what was omitted. One of the most curious things is that Satoshi Nakamoto made numerous references to ideas that had been used by Bit Gold, but never talked about Bit Gold directly. Omitting the origin of relevant ideas strange, unless Szabo was deliberately trying to cover up his tracks. None of this is hard evidence, and to date Szabo has flatly denied being the key driver of Bitcoin’s launch. Another possibility is a Japanese American man living in California, named Dorian Prentice Satoshi Nakamoto, birth name Satoshi Nakamoto. First brought up in a March 2014 Newsweek article, Leah McGrath Goodman pointed to Nakamoto’s training as a physicist at Cal Poly University in Pomona and libertarian background as potential indicators of his identity. Goodman’s biggest piece of evidence was his response to a question regarding Bitcoin: “I am no longer involved in that and I cannot discuss it. It’s been turned over to other people. They are in charge of it now. I no longer have any connection.”This led to a wild media frenzy, which even included a car chase. However, in a later interview, he recanted his previous position, stating that he had misunderstood the reporter’s question, thinking it was related to his previous classified work as a military contractor. Dorian Prentice Satoshi Nakamoto, Image from The Verge. David Kleiman had an interesting life, and was certainly involved in the beginnings of Bitcoin. His involvement with Bitcoin goes back to its earliest days, and he was one of the first Bitcoin miners. Kleiman had a long standing interest in computer security, and had designed systems that were used by the highest levels of the US government to secure their digital systems. After becoming a paraplegic in a motorcycle accident, Kleiman went barreling into the world of cryptography. He was on the Metzdowd list, which may be where he first came in contact with the Bitcoin whitepaper. The email is alleged to predate the release of the Bitcoin whitepaper by a few months, which would make it a key piece of evidence in the search for Satoshi Nakamoto’s true identity. Sadly, Kleiman died in 2013 under mysterious circumstances, which effectively eliminates him as a future source of information. Given his aptitude for data security, whatever digital information he left behind is also probably going to be difficult to access. Hal Finney is another potential candidate to be the mysterious Satoshi Nakamoto. Finney was a pre-bitcoin cryptographic pioneer and was only the second person – after Nakamoto himself – to make use of the software, file bug reports, and suggest improvements. Forbes journalist Andy Greenberg speculated after requesting aid from writing analysis consultancy Juola & Associates that Greenberg may have been the ghostwriter for Satoshi Nakamoto. Further adding to the speculation that Finney was involved with the creation of Bitcoin was his correspondence with the aforementioned Nick Szabo, and the fact that he lived only blocks apart from Dorian Prentice Satoshi Nakamoto. At the time of his death on August 28, 2014, only circumstantial evidence pointed to Hal Finney being the original Satoshi Nakamoto. Hal Finney, Image from Wired. Yet another possible contender to be Satoshi Nakamoto is the Australian academic, computer engineering expert, and entrepreneur, Craig Wright. In early November of 2015, Gizmodo received an anonymous email (referenced above) from an individual stating that not only did he know that Craig Wright was the creator of Bitcoin, but that he had also worked for him. Afterwards, Wright deleted his internet presence until May of 2016, when he stepped forward and revealed himself on Twitter as the creator of the digital currency Bitcoin, and claimed he had the proof to back up his statement. Then, amid a torrent of skepticism, Wright retracted his statement and did not offer the “extraordinary proof” he claimed to have, stating that he did “not have the courage” to prove his identity. Craig Wright, Image from CCN. In an era where information is widespread, Satoshi Nakamoto has managed to maintain his identity a complete secret. So why is uncovering Nakamoto’s identity so important? If Nakamoto is indeed a single individual, then he or she owns approximately 5% of the world’s Bitcoin supply, placing him or her as the 52nd richest person in the world as of December 12th. The implications of this wealth are considerable, beyond even the real world implications. If Satoshi Nakamoto were ever to sell the rumored 980,000 Bitcoins in his or her possession (currently worth over $3.9 billion at today’s price, as of 18th March 2019 ), the price of Bitcoin could potentially become more volatile than it already is. Like many famous quotes, the authenticity of the above statement is questionable. On the other hand, the idea expressed is rock-solid. The ‘power-of-the-purse’ is one of the most important ideas in modern political ideology. Being able to control the issuance of a popular currency gives the controller extreme amounts of power. Bitcoin undermines the idea of a central bank, or the involvement of centralized authorities at their most basic level. As the last decade has shown, the idea of decentralized money or political systems has been met with extreme opposition by many established organizations. “The root problem with conventional currency is all the trust that’s required to make it work. The central bank must be trusted not to debase the currency, but the history of fiat currencies is full of breaches of that trust. Banks must be trusted to hold our money and transfer it electronically, but they lend it out in waves of credit bubbles with barely a fraction in reserve. We have to trust them with our privacy, trust them not to let identity thieves drain our accounts,” in their now-famous 2009 whitepaper. In 2008 no one would have seen Satoshi Nakamoto as a threat to global socioeconomic system. Today, that probably isn’t true. Nations like China have banned cryptos outright, and the Western central banking cartel has been vocal in its opposition to widespread use of cryptos. Whoever Satoshi Nakamoto is, they are likely wise to have dropped off the radar when they did. The idea that fiat money could be replaced with a system that marginalizes central authorities is extremely dangerous to the people that currently hold power. Anyone who could act as a lightening-rod for a global decentralized society would probably face some pretty nasty blowback. Furthermore, there is significant debate as to the future of Bitcoin. Heated discussions have arisen due to some of the growing pains surrounding Bitcoin, particularly the issue of how to deal with an increase in transaction volume in the Bitcoin network. As the number of blocks increases, the Bitcoin network runs the risk of becoming overloaded. One side of the debate wants to fundamentally change the Bitcoin node by increasing the block size, in order to allow the system to process transactions more quickly. The other side of the debate sees this as a betrayal of the original concept behind Bitcoin, arguing that this would lead to increased centralization. Identifying Bitcoin’s true creator would create more certainty and could potentially lay down the following steps in Bitcoin’s ever growing development. The Bitcoin community will be forced to coexist with the enigma that is Satoshi Nakamoto, whether they like it or not. 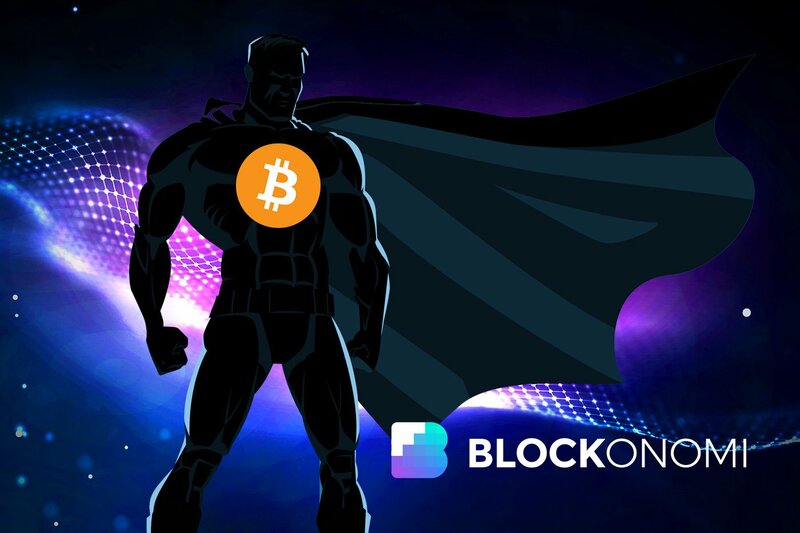 There are a few ways that Satoshi Nakamoto could show that they are, in fact, the creator of Bitcoin, but convincing the entire crypto community will be a challenge. Even if a plausible Satoshi came forward, they would probably have to deal with ongoing doubts from within the crypto community, and untold difficulties from the global power structure. The raid on Craig Wright by the AFP is a small taste of the legal morass that the real Satoshi Nakamoto would find themselves facing. Ultimately, identifying Bitcoin’s creator may be a quixotic endeavor. His or her complete silence since the Spring of 2011 means it is likely we will never hear from them again. Nevertheless, Bitcoin, the open source digital currency created nearly a decade ago, will continue to in spite of this mystery. I was born in Caracas, Venezuela, and was raised in South Florida. I double majored in History and International Relations, and spent a year studying abroad in Germany. I am currently a graduate student at the University of Florida.My interests include games, politics, and cryptocurrencies. I'm a die hard Miami sports fan. I always wonder if Satoshi is smart computer from the future. Has anybody considered that Satoshi Nakamoto could be ELON MUSK.Think about it,where have the vast sums of money come from to fund Spacex? The money funding Spacex came from the American tax payer. Elon Musk, a South African also funded Tesla with US Dollars, their mega plant East of Reno now belongs to Panasonic and the battery technology that was the jewel used to fund the Mega Plant has been given to anyone that wishes to use it.There is a muskie smell to Elon’s business. End Of The Line For Stable Coins & Online Crypto Payment Processors?